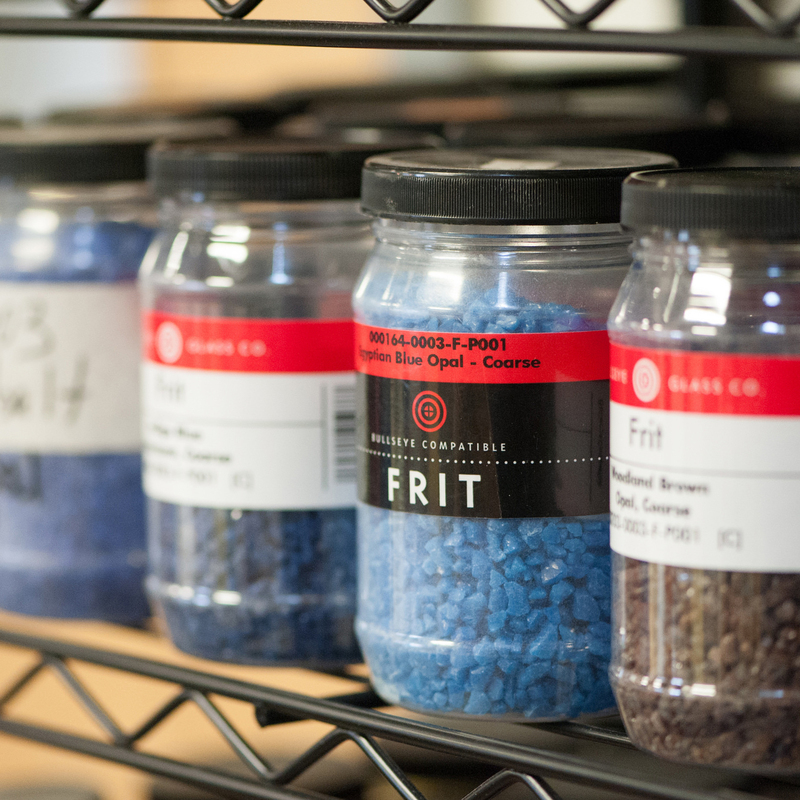 The PGC Store offers a wide array of handmade works by our growing community of talented glass artists. Our shop is located on the first floor and carries a wide array of blown, flameworked, fused, cast and coldworked jewelry, sculpture, and functional tableware and vessels that are as aesthetically pleasing as they are practical. 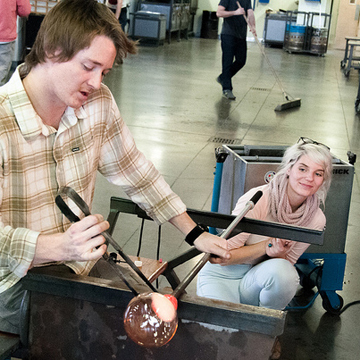 We also carry glass works by MONMADE artists, who are part of Pittsburgh’s emerging maker movement. Every purchase from our store supports both PGC and the local glass artists who contribute to and strengthen our community. The Penn + Fairmount Jason Forck Collection is a line of useful and beautiful tableware with a sleek, modern sensibility created by hand at Pittsburgh Glass Center using traditional Venetian techniques. 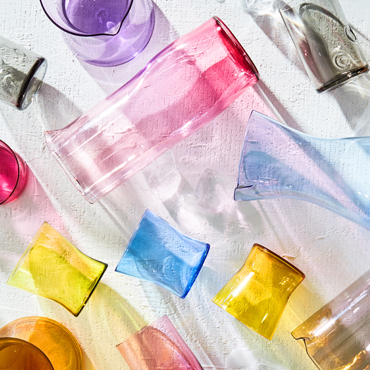 Emerging glass artist Jason Forck and his team have designed distinct silhouettes in a variety of translucent hues. Looking for an artist to create something specific? Vases, dishes, sculpture, jewelry, awards and more can be commissioned by the local Pittsburgh artists listed in the categories in the link below. 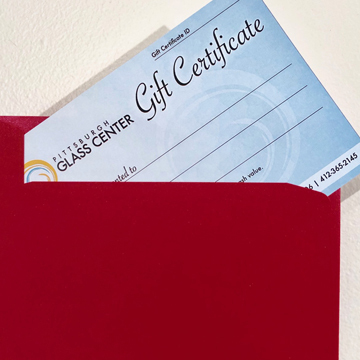 Pittsburgh Glass Center gift certificates make great gifts for everyone on your list! Email Elean or call 412-365-2145, x. 204 for details.